‘Be careful because Cambodia is the most dangerous place you will ever visit. You will fall in love with it, and eventually it will break your heart.’ So said Joseph Mussomeli, who was the US ambassador to Cambodia in 2005. Mussomeli, a hard-worn diplomat who’d served in Cairo, Manila, Colombo and Manama in Bahrain, would warn his American visitors that Cambodia was unlike any country they’d ever been to. Devastated by years of war and genocide, this small country locked between Thailand and Vietnam remains to this day in a horrible impasse. Joel Brinkley, a former New York Times journalist and professor of journalism at Stanford University, uses Mussomeli’s warning to open his sprawling, devastating account of Cambodia’s bleak history and of the maddening corruption decaying Cambodian life today. Brinkley spent two years researching his book and two summers travelling through Cambodia, dropping in on villages, interviewing ordinary Cambodians while they sat in their shanty homes and complained to him about their hunger. One family Brinkley spoke to had a child who was so malnourished, he slumped on the floor, drifting in and out of consciousness. It’s not uncommon to see children in Phnom Penh, the capital city, play with garbage because they have no other toys. Brinkley makes it impossible for the reader not to feel their heart wrench as he describes that – remarkably, in the twenty-first century – millions of Cambodians still live much the same way as their ancestors did under the Khmer Empire a millennia ago. Approximately 80 per cent of Cambodians live in rural areas; many are illiterate and make a paltry living by cultivating rice using the most primitive methods. Few rice farmers use irrigation, leaving them vulnerable to nature’s mercy. At least 15 to 20 per cent of the nation’s five- to six-year-olds never enter school and, worse still, 40 per cent of children are so undernourished that they are growing up ‘stunted’. Ten per cent, Brinkley says, are slowly starving to death. While Cambodia’s poor have Brinkley’s sympathy, the elites are the target of his rage. Brinkley pays particular attention to President Hun Sen, who so far has been in power for 12 years and isn’t likely to be going anywhere soon. The Cambodian president (when not assassinating political opponents) extorts his way to great wealth while seriously underpaid teachers take bribes from their students – in effect grooming the next generation in the art of grafting and blackmail. Brinkley, however, reserves his most biting criticism for the international community. Following the UN’s huge peacekeeping experiment in Cambodia in 1992 (the UN Transitional Authority in Cambodia or UNTAC), Brinkley accuses the West of turning its back on the country still obviously shaken by the dark Khmer Rouge days. While other humanitarian crises affronted the world, such as the genocide in Rwanda, and new wars in Iraq and Afghanistan emerged, the welfare of Cambodians became less and less important to the US and other Western governments. All the while, international donors gave Cambodia billions in aid, which helped line the pockets of Hun Sen and his friends. 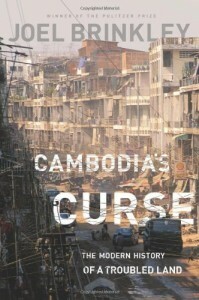 Reading Cambodia’s Curse is like enduring one horror story after the next. Each chapter brings a new reason to feel angry, upset and ultimately, dispirited. With corruption so endemic, with an international community so willing to tolerate Hun Sen’s stranglehold on the country, you have to ask: what can be done? Brinkley opines, if only international donors stood up to Hun Sen and withheld aid until he improved conditions within the country and took the steps needed to combat corruption. But as journalist Elizabeth Becker points out, in her review of Brinkley’s novel, what about the ability for Cambodians to make change? Becker, who is the author of When the War Was Over: Cambodia and the Khmer Rouge Revolution, challenges Brinkley’s assertion that ordinary Cambodians are naturally compliant to authority, a quality which he says has been instilled in their culture since the days when Angkor kings callously subjugated their people. This, for Becker, is a caricature in the tradition of Western Orientalism. Instead, she points to the possibility that it is the Cambodians, not the international community, who can bring much needed change. I only can hope that Becker is right because Cambodia’s Curse is a beautifully-written, compelling read, but it leaves you with few reasons to feel positive about Cambodia’s future. This reviewer can take comfort in the fact that Becker is right. Brinkley’s insistence on recounting everything that is wrong in Cambodia overlooks the rapid change which the country is undergoing, thanks in significant part to the stablility which Prime Minister Hun Sen (in power for 25 years not 12 as the reviewer states) has imposed on the country after 30 yeas of turmoil. UNTAC was given an impossible task by the international community and could not have removed Hun Sen from power short of waging a full scale war, which it was not authorized or equipped to do. But it was able to create the conditions for establishment of civil society organizations which play an important role in exposing the government’z shortcomings and will be critical as Cambodia evolves toward what will hopefully be a much more promising future. Ask young Cambodians about Brinkley’s argument and they will tell you that he has missed the point. Cambodia obviously has serious problems, as would be the case for any country with is history, but many of its most talented youth are committed to ensuring a much brighter future for themselves and the Cambodian people. Thanks for your comment Don. Yes, you’re absolutely right. Hun Sen has actually been in office now for 26 years. Pretty long time. 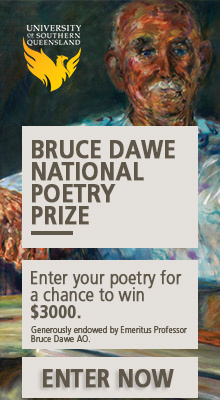 Apologies for that typo. I do hope that Cambodian youth are able to improve their future. They have a lot to overcome. The Press are restricted (journalists who criticise the government can be slapped with defamation charges), public protests are often violently dispersed and the legal system is flagrantly unjust. In 2004, a public screening in Phnom Penh of the film Who Killed Chea Vichea?, a documentary about a murdered union leader, was banned. The government obviously didn’t want to draw attention to the fact that they wrongfully arrested two innocent men as Vichea’s murderers. It’s interesting that Becker compares the Cambodia situation to the uprisings in the Middle East. I wonder whether widespread public action is what’s needed to change things in Cambodia. The screening was banned in 2010, not 2004. Typos are my thing, apparently. I’ve read the book and the review picks up the major themes running through the book. What I would add is that Brinkley pins the inaction of the donor community on the fact that those who are on the ground enjoy a much higher standard of living than they would have in their home country and in most other countries they may be posted too for the simple reason that everything is so cheap. Add to that the fact that Cambodia has no strategic position or resource which would draw the world’s interest and you have a recepie for donor inaction. I got the sense that Brinkley is frustrated as only an American on the progressive end of the political spectrum can be when things simply DO NOT IMPROVE no matter what tactic is used to achieve an improvement. Threats, military action, cajoling and appeals to the better nature of those in power have had little to no effect. The answer? Perhaps gradual educational improvement in each generation may lead to a consensus that something must be done about the ills so well covered in the book.